I teach in the Kellogg School of Management full-time MBA program, Executive MBA program and Doctoral program, I also teach several courses in Kellogg’s non-degree Executive Education Programs and have several online courses. 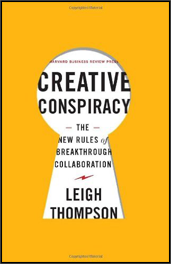 My key research areas are negotiation, creativity, collaboration, and teamwork. 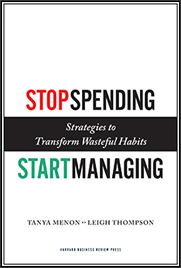 My books include: The Mind and Heart of the Negotiator, Creative Conspiracy, The Truth About Negotiations, Making the Team and Stop Spending Start Managing as well as others. I teach courses in Kellogg’s MBA, Executive MBA, PhD, open-enrollment Executive Programs and customized Executive Programs. I am the Academic Director for Leading High Impact Teams, Negotiation Strategies and Constructive Collaboration Executive Education Programs. 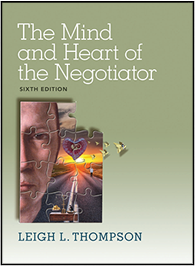 If you are interested in customized training for your company or organization, please contact me and I will explore you needs and develop a customized course in the area(s) of: negotiation, teamwork, leadership, creativity, decision making, conflict resolution, and emotional intelligence. 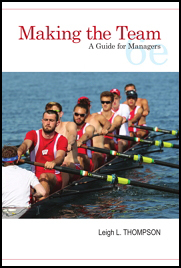 Are you a manager or executive looking for best practices? 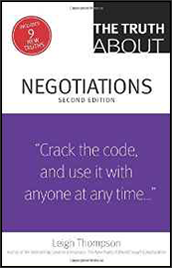 See my thought articles on negotiation, teamwork and creativity.